Born in Kochi Prefecture in 1895, he made a name for himself as a sumo wrestler during his time as a student before going on to become the Director of General Affairs of the Asahi News corporation in Osaka. 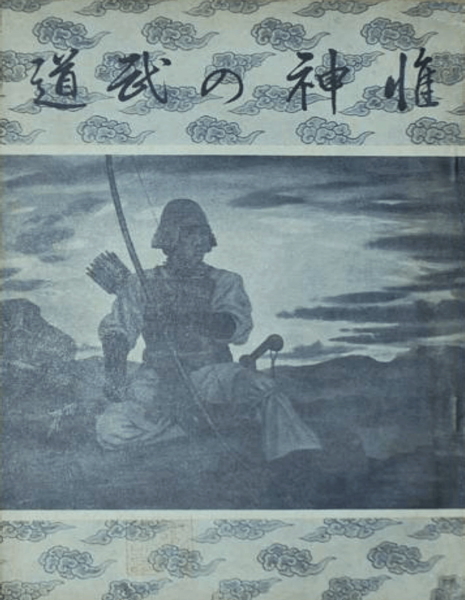 Yoshiteru Yoshimura (吉村義照) – eighth dan. He gave us the certificates and left for Hokkaido. As I look back now, it is almost fifty years since I began to learn Aikido. During that time, beginning with both Takeda Sensei and Ueshiba Sensei, then Director Tonedate and Security Chief Yoshimura, everybody has passed away. I am the only one left alive. I am eight-four this year, and have been stricken with paralysis, but I would like to use what strength I have left to transmit these techniques to future generations and somehow repay my debt to my Sempai. 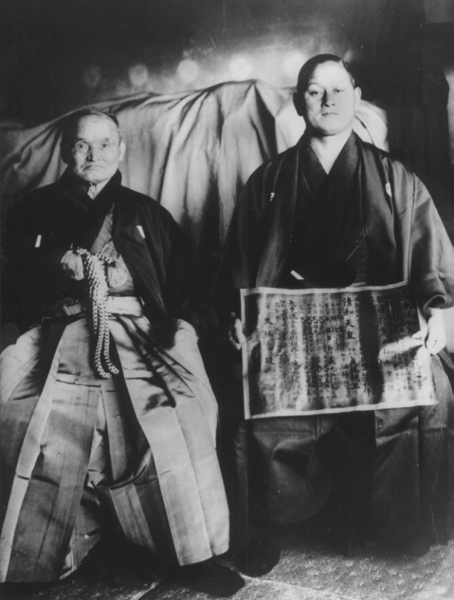 Takuma Hisa was one of two people to receive Menkyo Kaiden in Daito-ryu directly from Sokaku Takeda, the other person being Masao Tonedate (presumably an honorary certification due to his position at the Asahi News company). Kodokai Founder Kodo Horikawa would receive Menkyo Kaiden from Tokimune Takeda after his father’s death (but at Sokaku Takeda’s request). After the war he would go on to establish the Takumakai, but before that, one year after receiving Menkyo Kaiden from Sokaku Takeda, he published a book on Daito-ryu – “Kannagara no Budo, Daito-ryu Aiki Budo Hiden” (惟神の武道・大東流合気武道秘伝). Representing what may have been the most comprehensive manual on Daito-ryu published until that time, the title page specifies that the volume is not to be distributed to non-students. 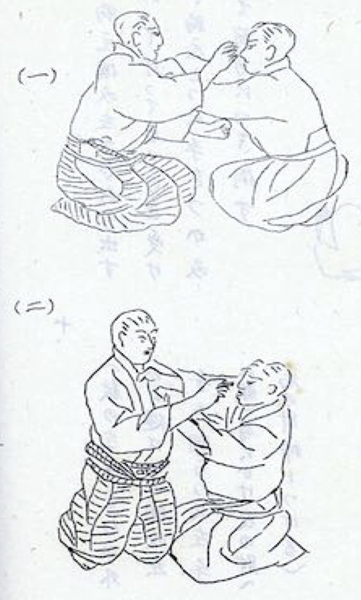 Interestingly, Takuma Hisa excerpted large portions of the technical explanations directly from Moritaka (Morihei) Ueshiba’s 1933 technical manual “Budo Renshu” (see “Aikijujutsu Densho – AKA Budo Renshu, by Moritaka Ueshiba“). 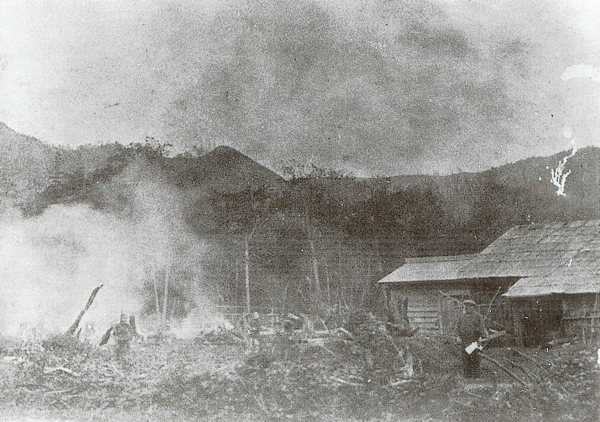 Further, although Hisa’s volume consists of photographs rather than drawings, it’s clear that many of the techniques themselves are identical. This ought not to be surprising, since what Morihei Ueshiba was teaching at the time was, without question, Daito-ryu. This was clearly stated by Yoshio Sugino, who was a student at the time and a contemporary of Takuma Hisa – “Of course Aikido was with Ueshiba Shihan – when I was studying it was still called Daito-ryu Aiki-jutsu” (“Interview with Yoshio Sugino of Katori Shinto-ryu, 1961“). Thus, it should not be surprising that the explanations of principle and technique that Takuma Hisa learned from Morihei Ueshiba in 1933 should be repeated in his volume documenting the teachings of Sokaku Takeda published in 1940. Is our current style of practice different from that when you started? Did O-Sensei distribute that book? No. To have it, you had to have O-Sensei’s permission. For me, that was when I reached what would now be called shodan. Was it a secret book, something that was never shown around? Well, I don’t know whether I would call it “secret”. It was, after aIl, a book, and there probably are people who can learn just by reading. But it would have been very hard for someone to read the book end understand what it was about unless that person were practicing Aikido. Unless you were shodan or higher, you wouldn’t know what to make of it. I think that is still true today. It’s not as if you can tell someone, “Here, do it as the book shows.” Aikido is something that becomes a part of you – something that comes through the spiritual training [shugyo] of physical practice [keiko]. Comparing the three volumes – Moritaka (Morihei) Ueshiba’s 1933 “Budo Renshu“, Takuma Hisa’s 1940 “Kannagara no Budo, Daito-ryu Aiki Budo Hiden” and Morihei Ueshiba’s 1954 manual “Aikido Maki-no-Ichi” reveals some interesting similarities. Next, and perhaps more telling, is that the technical explanations given by Moritaka (Morihei) Ueshiba in 1933 in “Budo Renshu” are duplicated verbatim in Takuma Hisa’s volume – but they are also duplicated verbatim in Morihei Ueshiba’s 1954 volume “Aikido Maki-no-Ichi“. 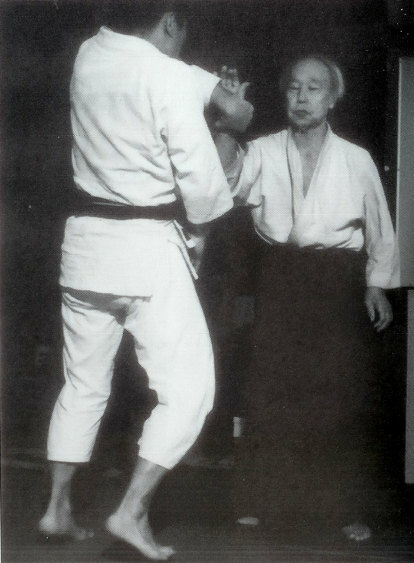 That is, there was virtually no change in either the technical depictions or explanations over a 21 year period, and there was no variation even when the volume in question was discussing Daito-ryu and not Aikido (although, for what it’s worth, Takuma Hisa often referred to his art as simply “Aikido”). Well, as I previously argued in “Budo – Moritaka Ueshiba’s 1938 Technical Manual“, all of this lends support to the argument that the radical phase change to the technical core of Aikido that is so commonly accepted to have occurred after the war…never happened. Or perhaps, it happened, but not at the behest of Morihei Ueshiba. There is a discussion of this issue in “The Ueshiba Legacy, by Mark Murray” which you may like to read if you find this topic interesting. Also of interest is this very interesting study by John Driscoll, originally published on AikiWeb, showing the almost exact correlation between the techniques taught by Morihei Ueshiba and the techniques of the Daito-ryu Hiden Mokuroku – 82% according to this study, although that percentage would undoubtedly be much higher if the comparison were carried out against Morihei Ueshiba’s 1954 volume “Aikido Maki-no-Ichi” rather than the modern Aikido curriculum spread by the Aikikai in the post-war years. …and here comes the download – this freely available PDF formatted version of “Kannagara no Budo, Daito-ryu Aiki Budo HIden” is available through the efforts of Scott Burke, who lives in Fukuoka, but often comes to Hawaii to join the Sangenkai workshops with Dan Harden.Many thanks to Scott, and kudos for his continuing series of “Aikileaks”. Thanks so much for making these available, this is fantastic! You are probably aware of this, but there is another book in this “series” that replicates the techniques and explanations in “Budo Renshu” (aka “Aikijujutsu Densho”). 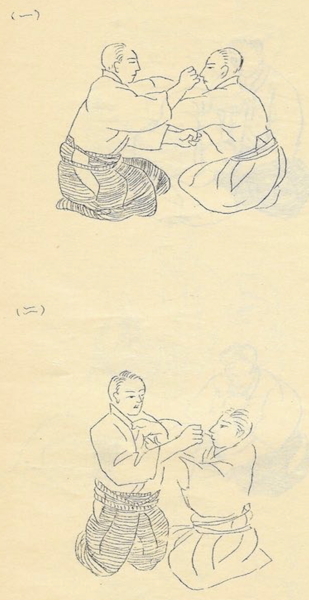 It is called “Aikido Densho”, by Kanemoto Sunadomari (brother of Kanshu Sunadomari), and it has a series of photographs of the author demonstrating the techniques. It is for sale on Stan Pranin’s website, $8 or $9 if I recall correctly. I’m glad that you enjoyed it! 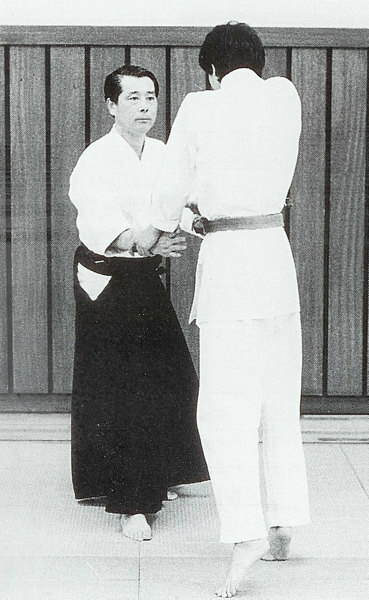 Yes, I have a copy of Aikido Densho (there’s actually a photo from it here: https://www.aikidosangenkai.org/blog/interview-aikido-shihan-kanshu-sunadomari-part-2/). 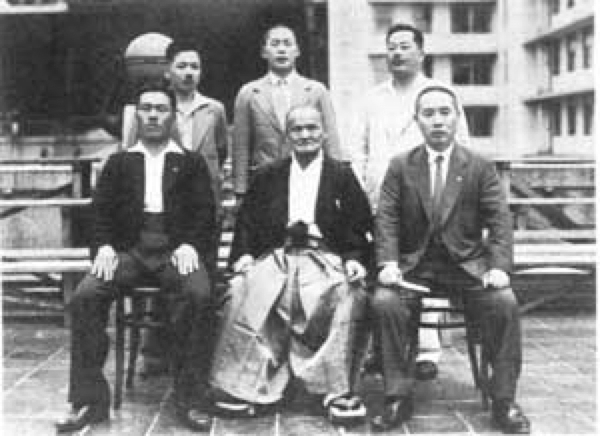 Kanemoto Sunadomari also wrote a very interesting biography of the Founder. It was nice research and I’d like to contribute. Ueshiba techniques wasn’t same as Takeda but shorter. Ueshiba drop down opponent and keep it by hands. Takeda use legs. Ueshiba techniques do not correlate to Hiden Mokuroku ’cause Hide Mokuroku contains Daito-ryu Aikibudo syllabus and Ueshiba have been taught Daito-ryu Aikijujutsu. Everybody’s techniques vary, Takuma, Kodo, Sagawa, Ueshiba, etc. – the question is what was changed and how much. 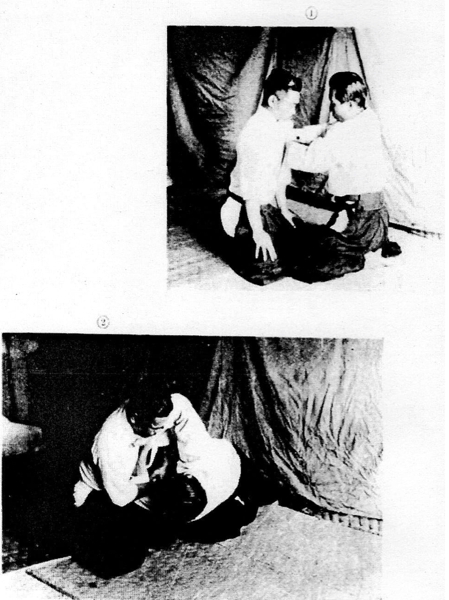 The post-war Aikikai alleged a radical change in core technologies – something that we now know not, IMO, to be true.